We all love our children beyond measure, but there are vast differences when it comes to deciding what our kids should do and how they should behave. Understanding your style better may help you parent better. We all have a certain style in the way we talk to our children, how we discuss family rules, relay our expectations, decide what we will tolerate and how we discipline. Understanding these parenting styles, will hopefully help to improve your parenting. I like to visualize the three major types on a scale which adapts as our children grow and we learn. Below is the scale which often varies as our children go from toddler to teen. We can vacillate between styles, but we usually gravitate to one side or the other. If you fall on the far left of the above parenting style scale, you might a boot camp or authoritative style. Your pop culture icons are Red Forman from That 70s Show and Claire Dunphy from Modern Family. You control every aspect of your child's life, taking over all decision making and enforcing a rigid structure on your child. When it comes to setting rules and expectations with your kids, you're the grownup and you know what's best. And since this is the case, it's not really necessary to always explain the logic or rationale behind your rules and expectations. You are anxious and afraid that if you don't impose control, your child won't get it right on his own. To be fair, you do your best to apply your standards equally to each child. You believe it is important for parents to make decisions for their kids and that, generally, rules and expectations shouldn't be open to discussion. You are an optimizer, making life as perfect as possible for your child. At the other end of the spectrum, anything goes! 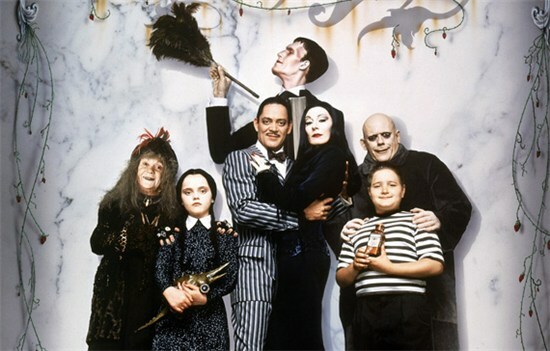 You mostly use a hands-off parenting style and identify most with pop culture icons The Addams Family! While you give your child a lot of independence, you probably don't feel very connected to her. You may feel too busy or overwhelmed with other obligations to be very involved in your child's life. You bolt when the school volunteer list is handed out. Your children may not develop strong social skills because you prefer not to allow friends to play at your house. Parenting overwhelms you or you may believe your child will learn most of his lessons from outside the home. You do not enjoy conflict with your child, so you do not discipline or set any rules for your child. Your child may not learn how to work through conflict and when things get difficult in life, he may just ignore it. Your child's physical safety is a concern when your child has little or no parenting. The Middle Ground is where love, discipline and respect intersect. 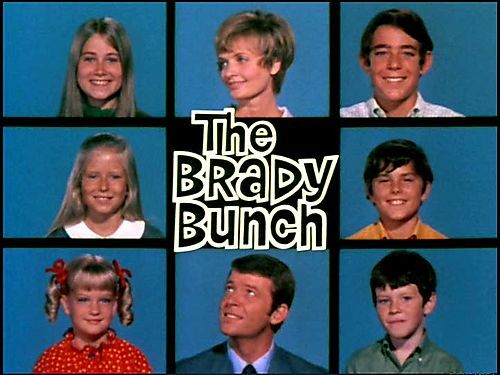 Your pop culture icons are Mike and Carol Brady from The Brady Bunch. This type of parent acts as a teacher and guidance counselor in a child's life. You offer guidance, not control. You understand the real life developmental stage of a child. You are warm and involved, but firm and consistent in setting and enforcing limits. Middle Ground parents have relationships with their teens that include trust, mutual respect and strong and open communication. You encourage and give your teenagers the freedom to express their own ideas, beliefs and individuality. Middle Ground parenting works because it does three things. First, your warmth, love and involvement make your teen more open to your influence. Second, by providing structure through limits and consequences, your teen develops the ability to regulate his behavior and make good decisions. And third, the open, two-way communication in your relationship helps your teen develop the thinking and social skills needed to succeed outside the family. It takes a lot of effort to be a Middle Ground parent, especially when a parent is exhausted. But the work is worth it. 1. Your baby drops his pacifier at the mall? You..
a. No problem, you always carry pacifier wipes. c. Who has time to wash off a pacifier?? 2. You and your 5-year-old daughter are having a playdate at a friend's house. When asked what she wants for lunch, your shy daughter lowers her head and refuses to answer. What do you do? a. Command her to answer the question immediately or she is going home. b. Squatting down to your daughter's eye level, you talk her through the situation, helping her answer the question on her own. c. Speak for your daughter, telling the host what she likes and explaining that she is just shy. 3. It's a cold winter day and your 3-year-old son refuses to wear a coat. What is your solution? a. Yell at him to stop whining while you force his coat on. b. Sit down with your son and explain why it is necessary to dress warm in cold weather. Involve him in the decision. c. Shrug your shoulders and let him run out the door in whatever he wants. 4. Your 4-year-old son refuses to go to bed. How do you react? a. Threaten to lock him in his room if he doesn't go to bed immediately. b. Discuss with him why it is important to get enough sleep. Create a bedtime schedule that give him comfort and routine. Read a story of his choice and snuggle together until he is relaxed and ready to sleep. c. Let him fall asleep in front of the television. 5. You get a call from your son's teacher who explains that your son has carved a hole in the wall and blamed another student for what he's done. What do you do? b. Begin by patiently discussing the problem and his reasons for doing it. Help him to repair the damage or earn money to pay to have it fixed. Help him work through why he shouldn't blame other kids and acknowledge it is difficult but important to admit when he has done something wrong. Discuss how he would like to apologize and then guide him through it. c. Approach your son and when he refused so talk, you throw your hands in the air and tell him he can do what he wants since it probably wasn't his fault anyway. If most of your answers were A, you may be more of a drill sergeant than a parent. To have success as a parent try changing your belief that children should conform to your commands. Try to tone down the control and dial up the warmth and love. If your answers were mostly B, you are a Middle Ground Parent. Congratulations! Studies show that adolescents raised by Middle Ground parents do better in school, report less depression and anxiety, have higher self-esteem and self-reliance and are less likely to engage in all types of risky problem behavior. If most of your answers were C, while your free-wheeling carefree attitude is to be admired, it may serve your children better to have more structure in their lives. Also, try to give your child a large dose of your undivided attention. We all vacillate between styles, but try to work towards becoming a middle ground parent. It takes effort, patience and time, but the results are worth it.